The Reading Community Gospel Choir is back with another annual community gospel concert this November. Each year, the concert is held at the Town Hall in Blagrave Street, Reading, welcoming guests to come and enjoy and share a variety of gospel sounds - and this year's event will take place on Saturday, November at 7.30pm. 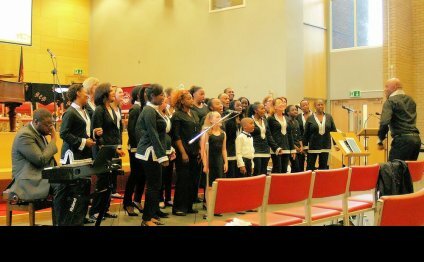 Reading Community Gospel Choir started in October 2007 following a project for Black History Month and is made up of people of all ages and cultural backgrounds. The Reading Community Gospel Choir. Some of the members are accomplished, skilled and experienced musicians, who have performed nationally and internationally, while others have no formal training in music but enjoy singing. As a group, it has a shared interest and love for gospel music, and has sung at a whole host of venues across the town. This year in particular saw the Reading choir be selected as one of the finalist for Songs of Praise Gospel Choir of the Year 2015 which the group "enjoyed immensely".